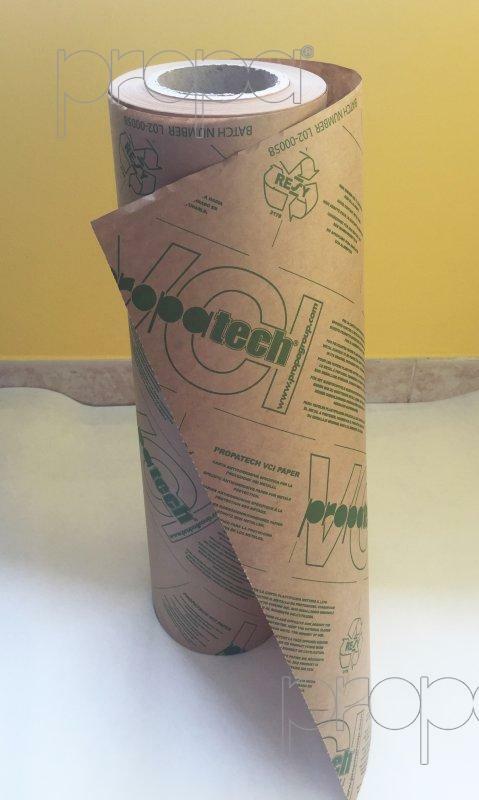 VCI anticorrosive sheets of paper in rolls pre-cut: an efficient sheet of paper at every tear-strip! 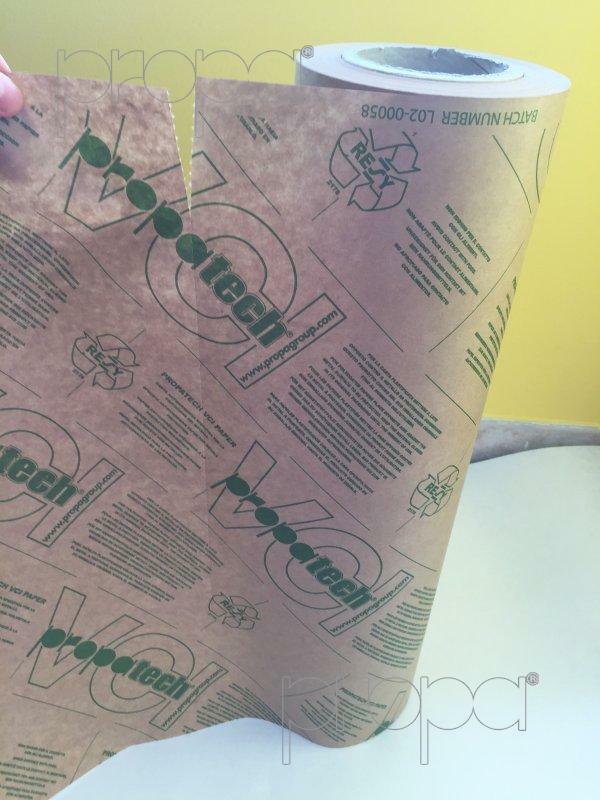 Starting from today Propatech VCI anticorrosive sheets of paper are available also in rolls with pre-cut system. 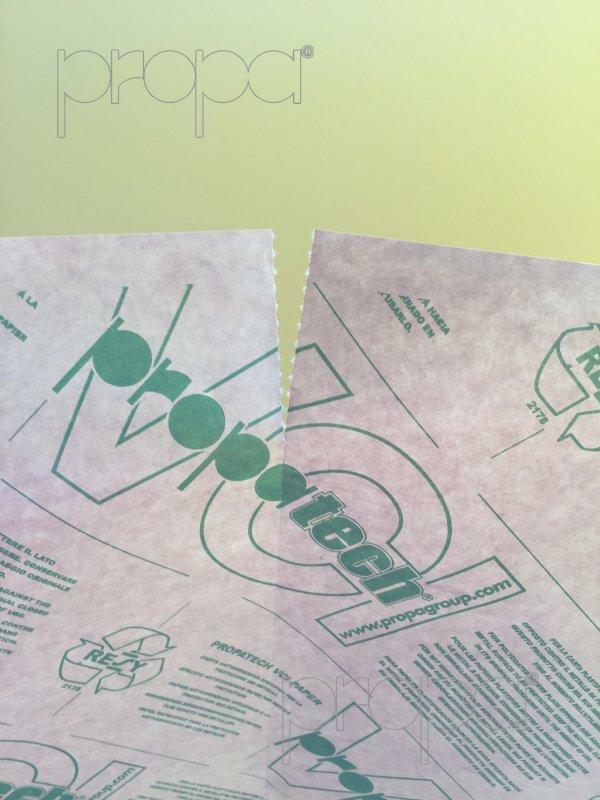 Propagroup has always been aware to customer needs, that is the reason why it studied a new machinery for pre-cut paper rolls production to complete the PROPATECH VCI PAPER range of products in rolls and sheets, realized to solve many problems to people working in various fields. As a matter of fact, this new product will reduce losses of time during cutting in precise dimension, it will reduce waste or loss of material, and you will also have a product that maintains its protective characteristics. With this new pre-cut system, your warehouse will always be organized because there are not going to be anymore flying papers, you will always know exactly how many sheets you have in a roll, you will be able to give a batch to every application more easily and VCI paper will better preserve, lasting longer, it will also take up less space inside the warehouse.